GRAFENWOEHR, Germany — A new scam involving the use of fraudulent checks and mobile deposit apps to gain access to service members’ and their families’ bank accounts has surfaced, according to a memo just released by Army Emergency Relief. 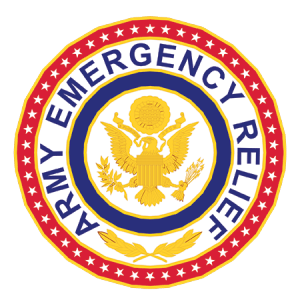 The Army Emergency Relief headquarters in Arlington, Virginia, recently reported that a check scam has compromised users’ bank account information. It also said that the scam specifically targets soldiers, retirees and military family members. According to AER, the scammers forge counterfeit AER checks and offer Soldiers opportunities to “earn some easy money.” When affected parties provide scammers with their bank account information, scammers deposit the fraudulent checks in different banks through the banks’ mobile depositing application. Incidents of forgery and illicit bank access have occurred since early December 2016 and have affected various banks, the AER reported. Currently, AER has teamed up with the Army Criminal Investigation Command, Federal Bureau of Investigation and other prevention organizations to investigate the scam and identify the culprits. In the meantime, AER headquarters developed a plan to reduce the incidents of these fraudulent checks. AER clients that receive a check are informed to cash and then deposit valid AER checks at their banking institution. Those that deposit the check through mobile apps will have a 24-hour hold. This period allows time for AER to validate the check. Once checks are authenticated, they will clear as normal. AER officers have alternative processes to follow for emergency leave cases. AER does not ask Soldiers, Retirees or their families for a login and password for their online banking site. If anyone asks you for this information because they need help depositing funds from an AER assistance application, DON’T SHARE IT and contact your local authorities immediately. NEVER give your bank account information to anyone promising to help you earn easy money or who tells you they need your help cashing a check because they are out of the country, too busy, etc. Scam artists are obtaining other people’s banking information and withdrawing funds from their accounts. Be careful about accepting checks – even cashier’s checks – from people you do not know. Call the bank listed on the check to make sure the check is genuine and never use the funds before the check clears. NEVER accept a check for more than you are due with the request to send the over-payment to a third party. Beware of “easy money” scams, and always safeguard your personal banking information.